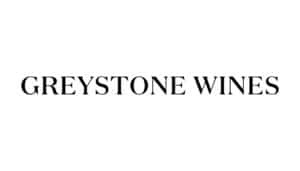 In 2000 the Thomas Family purchased a farm on the Omihi hills and began work to create the Greystone vineyard. From the outset there was one goal; to realise exceptional wines from the unique terroir. By 2004 with the help of Viticulturist Nick Gill they’d planted thirteen blocks across the Omihi slopes. Dom Maxwell became our winemaker and a team was formed in the pursuit of realising the potential of this exceptional site. The north facing limestone hills slope down to clay – the perfect combination for growing wines with minerality and concentration. Greystone’s first wines were grown on the banks of the Waipara river but in 2004 the move came to the limestone and clay slopes of their newly planted home in Omihi. In 2008 the first wine was produced from here and over the years Greystone has grown amid accolades and acclaim to be recognised as one of New Zealand’s best wineries. We love this region and with our wines we aim to capture the essence of this site and reflect this in every bottle of Greystone. From early access to special perks, Craft'd subscribers are the first to know what's happening in the world of independents.